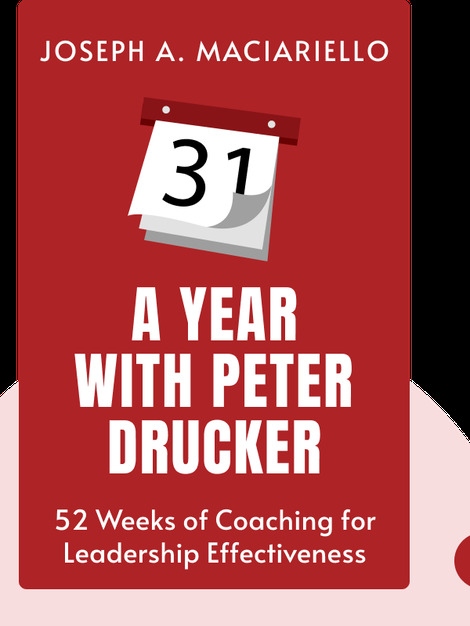 A Year with Peter Drucker (2014) offers a treasure trove of the management guru’s most essential insights, known as “Druckerisms.” Over decades, Peter Drucker (who died in 2005) developed a groundbreaking philosophy of leadership and success, teachings blissfully free of the jargon that dominates management studies today. Newly minted MBAs who might be wondering, "What's now?" Joseph Maciariello holds a PhD in economics from New York University. He is the current Marie Rankin Clarke professor of Social Science and Management at the Peter F. Drucker and Masatoshi Ito Graduate School of Management. 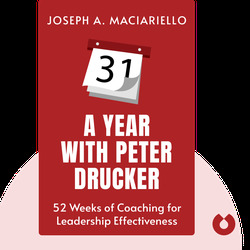 Both a colleague and close acquaintance of Peter Drucker, Maciarello has authored a number of books addressing Drucker’s management insights.